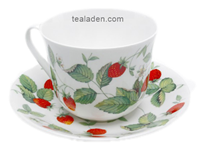 Pretty white, bone china cream and sugar set has a bright springtime motif. 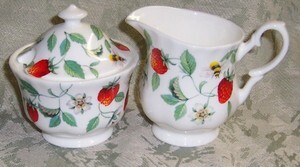 Roy Kirkham used bright red strawberries and buzzing bees to decorate this set. The sugar bowl does have a lid.